Lexie currently works at Accenture as a Management Consultant in the Health and Human Services practice. In this role, she works with federal and state civilian agencies optimize their business process and understand how emerging technology can improve the way they serve Americans. Prior to joining Accenture, she served as a Policy Associate at the American Public Human Services Association, where she acted as a liaison between human service agency commissioners, Congress, and the Obama Administration to ensure the perspectives of state and local human service agencies were incorporated in the development of new legislation and regulation. 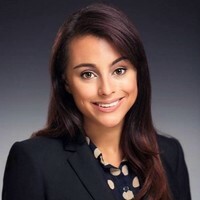 Lexie has testified before the United States Congress and the Connecticut State Legislature, and have presented at several Congressional briefings on child welfare issues. In addition to her policy work at the state and federal levels, she has been published in the Washington Post, Hartford Courant, and the Huffington Post.